Today Rare Silver Coins which were once only seen primarily as collectibles, have now become accepted as profitable long-term investments. 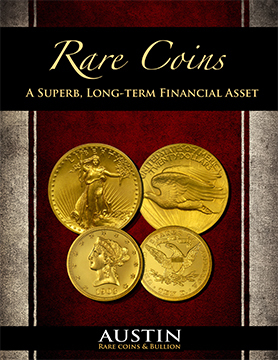 Rare Coins offers an unmatched selection of rare silver coins for collectors and investors with a strict emphasis on value and eye appeal. 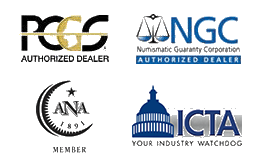 All of our silver coins have been graded and certified by NGC or PCGS, the most reliable professional grading services in the business. They record and give accurate data in determining the rarity of the coins. Have questions or don't see what you're looking for? Just give us a call and we will be happy to help.